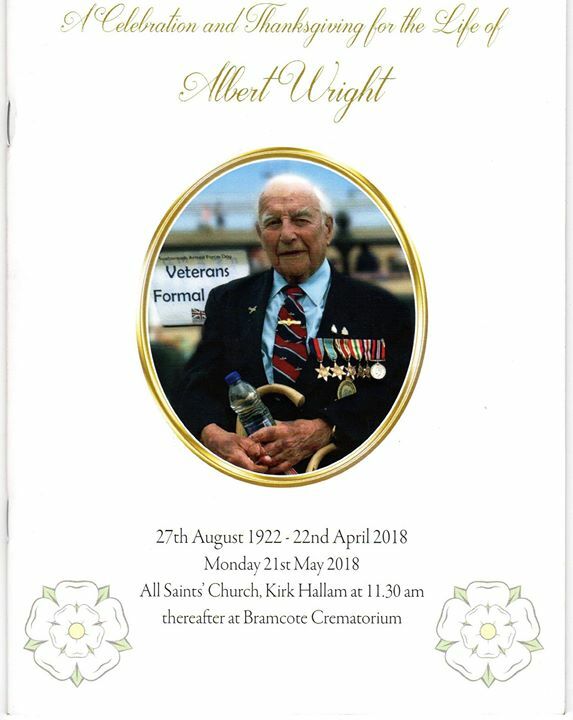 A packed Kirk Hallam Church said goodbye to Mr Albert Wright (95) on Monday 21st May. Mr Wright was a teacher at Dallimore and Ladywood schools in Kirk Hallam. He was also known in musical and sporting circles. As a footballer he was involved with Man. City, Arsenal and Bristol City. He was also a good golfer, captaining Erewash Valley Golf Club, later becoming club president..
As a musician he was a boy soprano at York Minster and a sought after tenor and pianist later in life. He also served in the RAF. Mr Wright had prepared his own Farewell Service, instructing the congregation to sing with gusto. They did. ‘Jerusalem’ nearly lifted the church roof off.